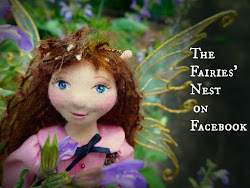 The Fairies Nest - OOAK Cloth Dolls & Fiber Fantasies: We Won! A BIG congratulations to you! I just knew you would win! Yahoo!!!! Ow that's great news and so deserved. Hurray !! What wonderful news!! Congrats to you and Mauve! So awesome! You rock. 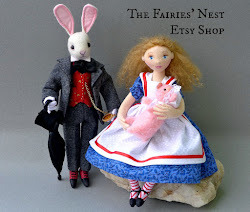 There was never any doubt in MY mind that you would win - your dolls are exquisite in every sense. Great job! I knew you could do it! It also helps to have a group of friends. Congratulations beloved teammate! Congratulations, Maeve deserves it. 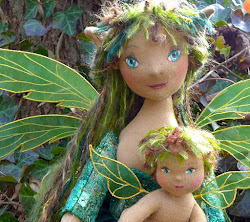 You can't get more Woodland than her.